Dehydrating recipes for basically every fruit and veggie. I bought a new food dehydrator despite knowing nothing at all about dehydrating. I just wanted to save some money and have some control over what was in my fruit rollups and beef jerky. I downloaded about five dehydrating books from the Kindle Unlimited program to find one that I liked. This one is the clear winner. 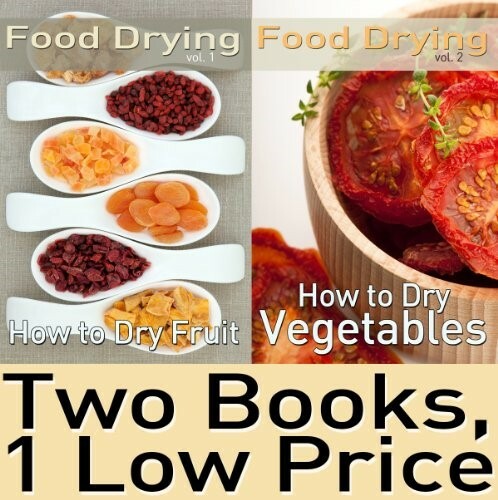 Food Dehydrating has clear and concise recipes for almost every fruit and vegetable (even iceberg lettuce!). It also has a very good explanation of how the dehydrating process works scientifically to preserve food (for nerds like me but easily skipped if that’s not your style). This is why I love the Kindle Unlimited program. Some of the other books that I downloaded had a better cover, book synopsis, and reviews; but this one was much better both in organization, content and writing style. 5 stars! You can’t go wrong with this book. Whenever I have leftover veggies & fruit, I dehydrate it following this book’s recipes. I used to just throw it out.